That brings us to 2015. 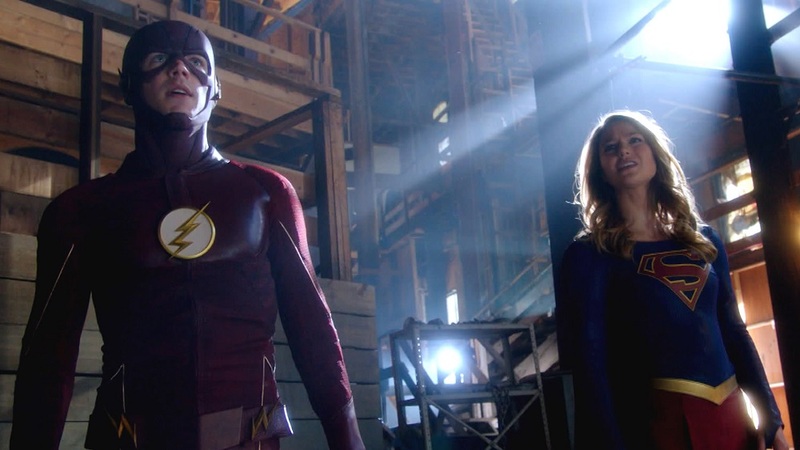 The CW has had success with Arrow and The Flash, showing that a broadcast network can have success with a superhero TV adaptation. 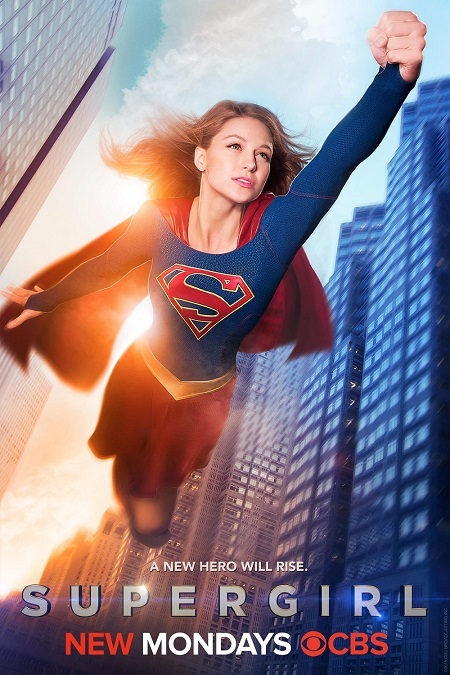 CBS took the chance on the latest from Greg Berlanti, Supergirl. With Melissa Benoist as the title character, the first season explored hope, dreams, family, and how the three mix. 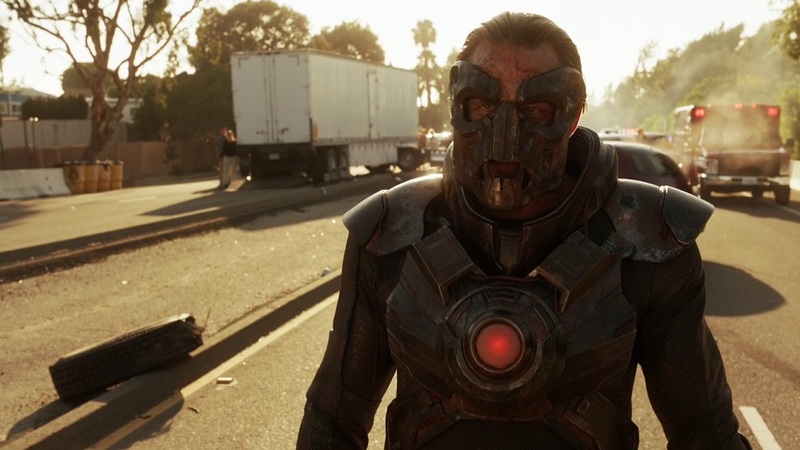 The analysis that follows focuses on the first season; cinematic universes tend to go in their own direction once started, even when the studio works to keep close to the original work. 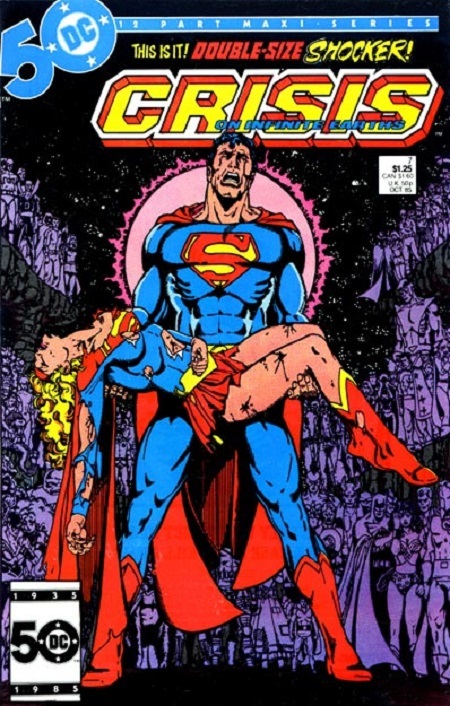 The opening voice over explains the background; thirteen-year-old Kara Zor-El was sent by her mother to keep her cousin, Kal El, safe until he grew up. However, Kara’s pod was knocked off course into the Phantom Zone, where she lingered unaging until somehow, she got out. When she reached Earth, her cousin had grown up and become Superman. Instead of her taking care of him, he finds a way to take care of her, bringing her to her foster parents, the Danvers, Jeremiah (Dean Cain) and Eliza (Helen Slater). Kara grows close to her older foster sister, Alex (Chyler Leigh). Once Kara has graduated college, she started work at CatCo, the media empire owned by Cat Grant (Calista Flockheart), former Daily Planet journalist. The series starts with Kara being Cat’s assistant and gopher, with her name mangled to Kira. Still, Kara keeps her spirits up. She enjoys her job and her co-workers. One, IT whizkid Winslow “Winn” Schott, Jr (Jeremiah Jordan), has a crush on Kara but can’t quite tell her. Starting that day is James Olsen (Mehcad Brooks), who has moved from Metropolis to National City to work for CatCo as the art director. Kara is looking forward to seeing her sister; Alex had been out of town on work. All in all, Kara’s life is normal. 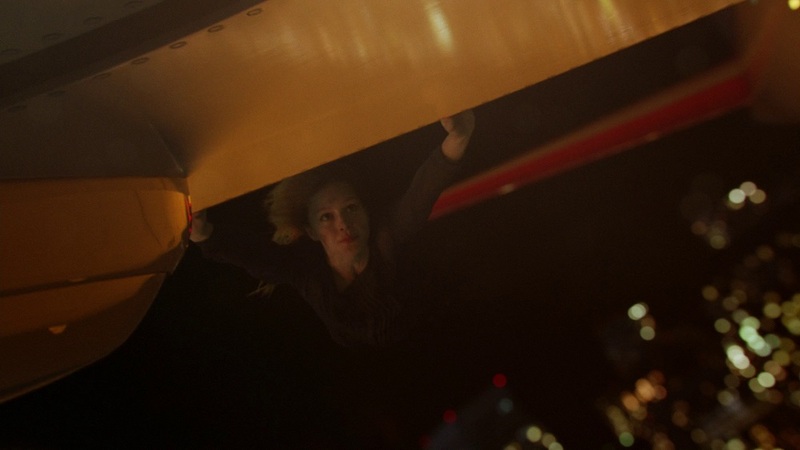 Alex realizes who saved her and the other passengers and confronts Kara. However, Kara is just so earnest that Alex breaks down and reveals her big secret – she’s really an agent for the DEO, the Department of Extranormal Operations, whose mandate is to protect the Earth from alien threats. Alex knows Kara isn’t a threat, but her boss, Hank Henshaw (David Harewood), isn’t so sure, but he trusts Alex enough that he’s willing to accept Kara. The problem that the DEO is facing is that Fort Rozz, the Kryptonian prison in the Phantom Zone, has crashed on Earth, letting the prisoners escape. Other characters from the comics make appearances through the season, including Dr. T.O. Morrow; his creation, the Red Tornado; the Silver Banshee; Jemm, Son of Saturn; the Toyman; and possibly the greatest danger to National City, Maxwell Lord (Peter Facinelli). There were also some twists on villains from Superman’s Rogues Gallery. Bizarro, who in the comics looks like a twisted copy of Superman, is based on Supergirl thanks to Max Lord and his experiments with Kryptonite to create a counter to the Girl of Steel. Brainiac appears as Braniac 8, though she prefers Indigo (Laura Vandervoot). Of note is the episode “For the Girl Who Has Everything,” which takes a cue from a Superman comic. 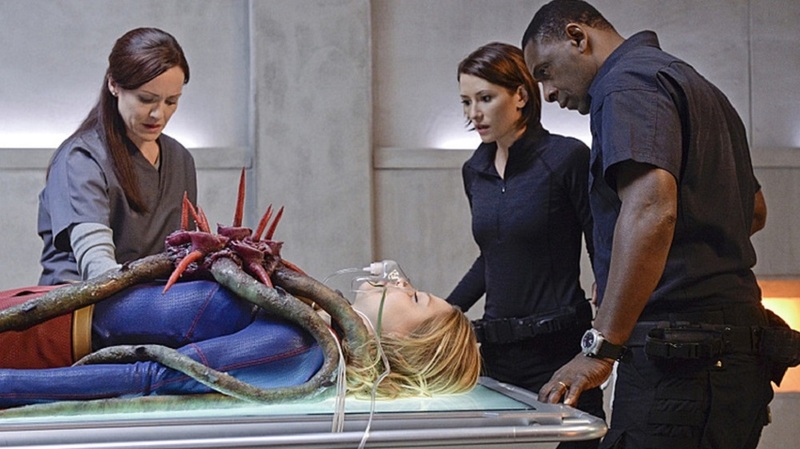 The producers realized that the Black Mercy, a creature that traps a victim in a memory recreation of a happier time, would work better with Kara. Superman has little personal experience with Krypton, having arrived on Earth as an infant. Everything he knows about the planet comes second hand. Kara, though, was older when she was sent away. She had family and friends, all of whom perished when the planet exploded. Kara is far more vulnerable to the Black Mercy, and the episode shows how. The show also gave itself an out with accuracy. “World’s Finest”, the crossover episode with The Flash, reveals that Supergirl isn’t quite in the same universe as Arrow and The Flash. Barry Allen (Grant Gustin) at one point goes through the differences between the universe he’s from and Kara’s. Cat also gets an interesting line when Kara, Barry, James, and Winn are lingering in her office, “You look like the racially diverse cast of a CW show.” Supergirl moved to the CW with its second season. The series has the potential to be the definitive version of Supergirl to the general audience, much like the Richard Donner Superman. The chemistry amongst the cast and Melissa Benoist’s portrayal of Kara will leave a long-lasting impression that will be hard to top.